Of the four appellations in Mendoza, the most prestigious is the Central Valley. This region is made up of places like Agrelo, Vistalba, Perdriel, and Luján but my favorite little area with a little more water holding capacity is LunLunta. 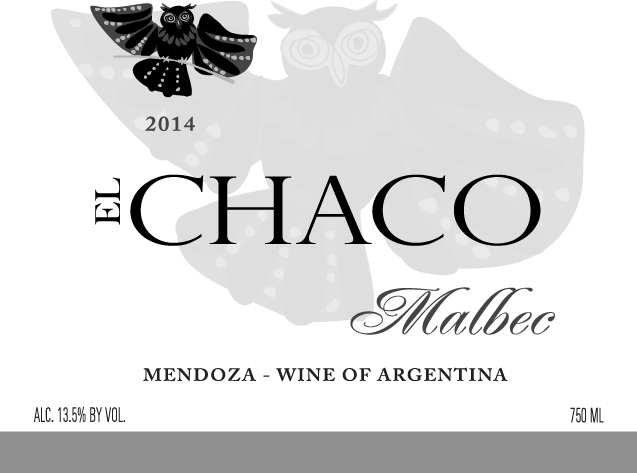 This is the home of our first release of El Chaco Malbec. Being of high altitude, approximately 3,000ft above sea level, Mendoza gives us cool climate characters which are the secret to the grapes’ success. Intense sunshine during the day is followed by much colder nights that are fueled by cold alpine air from the nearby Andes Mountains. This temperature variation extends the growing season by effectively shutting off ripening in the grapes overnight, allowing for the development of complex fruit characters. Tasting Note: The wine itself is fresh and vibrant but tastes like a wine 4 times the price. Solid power and weight in the mouth with great length and many layers of tannins. Plump dark fruit flavors like blackberry, raspberry, and plum. It is a wine that just goes on and on. Ends with a smoke in the finish. Supple wood and nice body means that although it is a serious wine it is one that is easy to enjoy and sit back and contemplate.